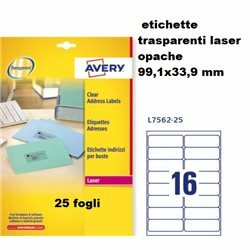 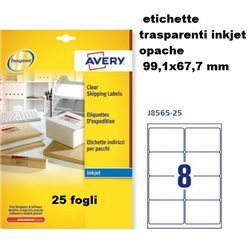 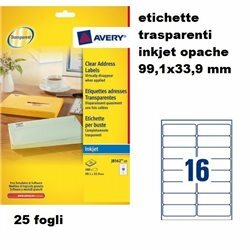 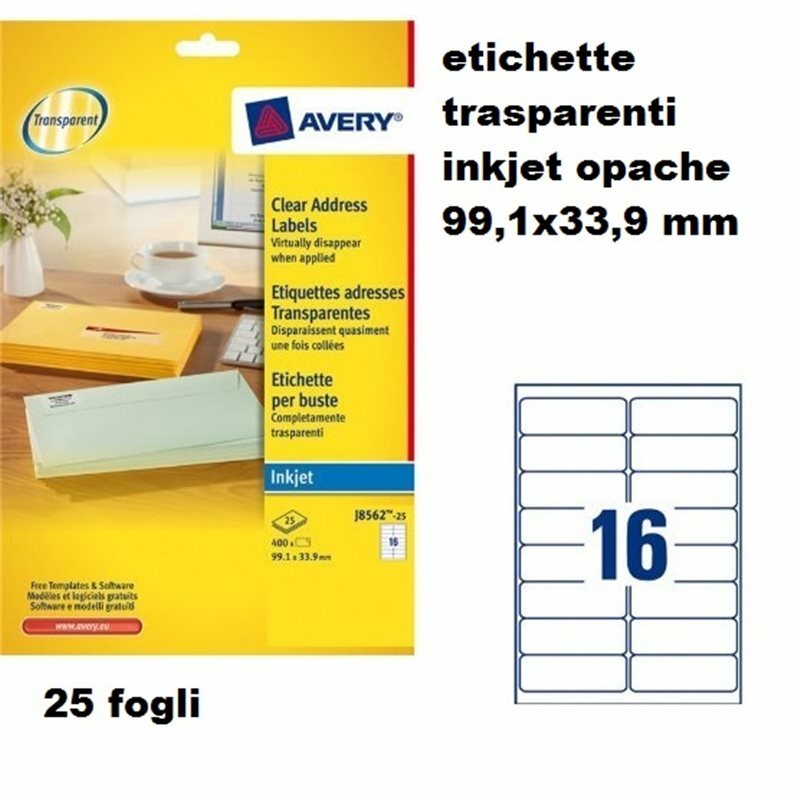 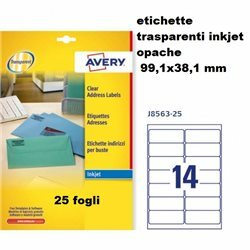 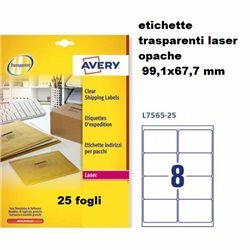 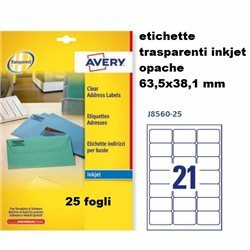 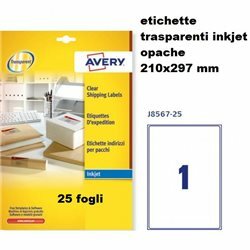 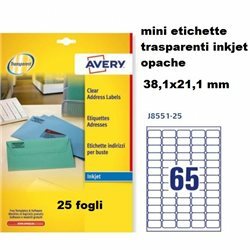 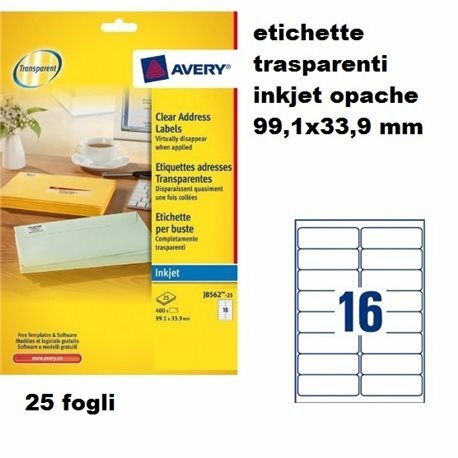 ETICHETTE ADESIVE DI ALTA QUALITA’ IN POLIESTERE TRASPARENTE MATTATO PER STAMPANTI INKJET. 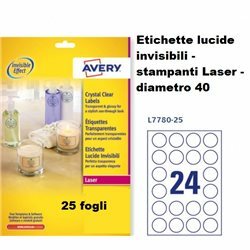 TECNOLOGIA QUICKPEEL™ CHE NE RENDE PIU’ FACILE LA RIMOZIONE. 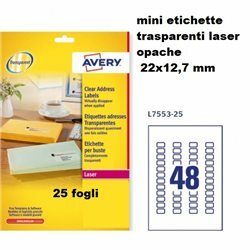 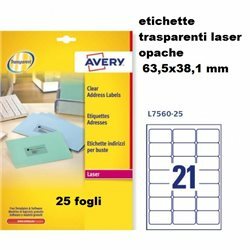 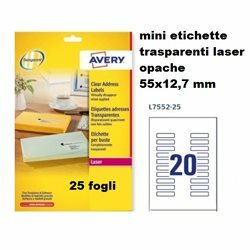 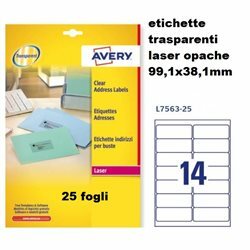 CONFEZIONE DA 25 FOGLI.